This image might remind you a little of the Statue of Liberty. 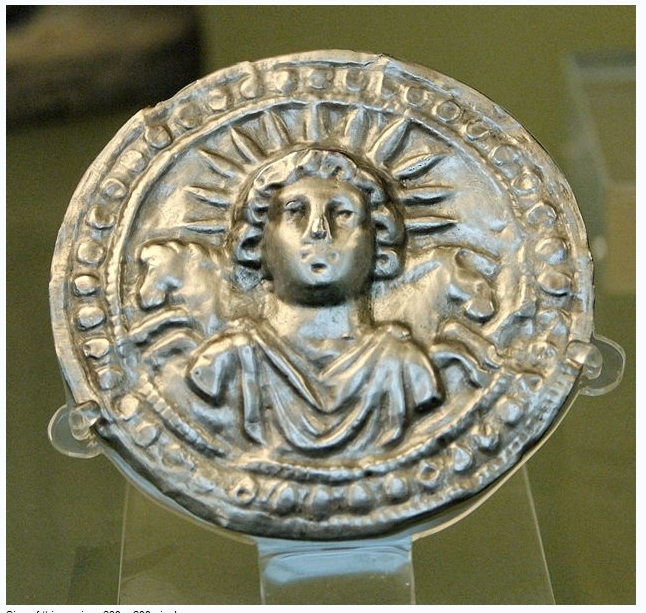 However, it is in fact a roman sun god by the name of Sol Invictus, sometimes translated as the Unconquered Sun. His worship was popularlised in the third century by the emperor Aurelian. 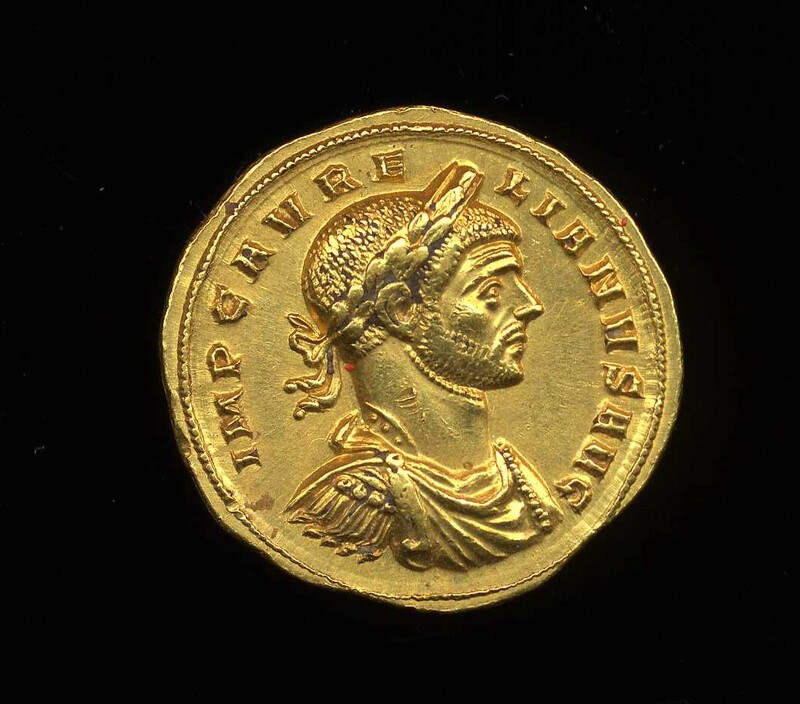 At the time that Aurelian took over the Roman Empire, it was in decline due to civil wars and poor leadership. In the west, part had broken away to form the Gallic Empire, while several of the eastern provinces had become the Palmyrene Empire. Barbarians were pouring what was left. Things were looking pretty bad. Aurelian reversed the decline, reunited the empire and dealt with the barbarian threat. He was a zealous reformer. He also encouraged all the people of the empire to follow one god, Sol Invictus, in a manner very similar to Constantine The Great’s later adoption of Christianity. Indeed, it is interesting that Sol Invictus is found on roman coinage until then. We will never know what might have happened to the Roman Empire, if Aurelian had survived longer to consolidate popular devotion to his religion. He died violently as so many emperors before him. A strict disciplinarian, he engendered terrible fear among his subordinates. He even looks severe in many of his surviving images. In the end, it cost him his life. A secretary, fearing terrible punishment for a small lie, concocted a greater lie to save himself. He convinced other officials that the emperor intended to have them executed, so they struck against Aurelian first, and the rest is, as they say, history. This entry was posted in Elysion, Inspirations and tagged Aurelian, History, Sol Invictus, The Unconquered Sun on October 22, 2014 by photocosmic.